What's killing all these law school graduates? I've been thinking a lot lately about creativity and what inspires it. My first novel was inspired by my experiences as a young lawyer working in criminal defense. It felt cathartic when I finished it, like I'd finally worked through all of the emotions I felt trying to navigate the justice system while at the same time hating my job and looking for a way out. My Pizza Diaries series was inspired by my adventures in trying to escape student debt hell. Again, when I finished it, I felt like I'd worked through that part of my life. I feel like there's a part of my leaving-the-law story that I'm still working through. The trouble is, I can't put my finger on it. I still find myself keeping up on law school news, especially as it pertains to student debt. I also find myself reading stories of former lawyers who got out and what they're up to now. I wonder what it all means - will I ever truly be free from that part of my life? posting it so others can gawk as I explore the plight of student debtors and recovering lawyers. I decided to write it in the vein of a "cozy" mystery. 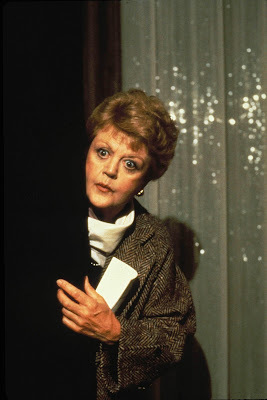 For the uninitiated, a "cozy" mystery is generally a murder mystery that occurs in an intimate setting with a limited cast of characters, and is solved by an amateur sleuth protagonist. Think "Murder She Wrote" or anything written by Agatha Christie.I figure I'll post one chapter per week until it's finished. 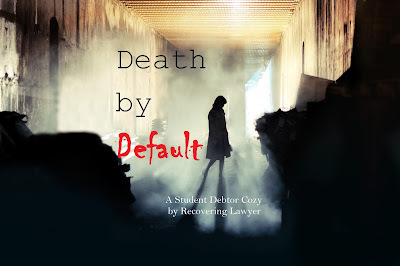 So, without further ado, I present to you...Death by Default. Have you ever heard this story from 2013? Law school student loan debt might have been this guy's motive for killing his mother and then himself. I'm glad to see you back, I enjoyed reading your blog! I'd never seen that story before - thanks for posting the link! How creepy, especially the fact that the guy may have killed his dad, too. As one of the witnesses observes, law school is definitely not worth killing your mother over. That's true, of course, but in this case it seems law school wasn't the motive, but law school debt may have been. I doubt it was a direct motive; the guy probably felt hopeless or lost touch with reality and decided to take his remaining family out with him. Maybe his money troubles were enough to drive him over the edge. It's really sad.